Author and history teacher Pyo Hak-ryul provides a rare look at economic policy consistency since the 1970s in his new book "Memories of Yushin Dictatorship." Yushin refers to the 1973 constitutional reform that allowed then President Park Chung-hee to seek re-election. The author says both conservative and liberal governments put economic growth first, and that policy priority has remained intact over the decades. Pyo raises the issue as government change usually entails a shift in major policies. Why have liberal politicians, who took to the streets in the 1970s to bring down Park Chung-hee, emulated his signature economic policies, rather than pushing for their own agenda of redistribution? Pyo, who identifies himself as a liberal historian and does not hide his deep-seated rejection of Park by calling him a dictator, said there will be no future for liberals as long as they continue to put economic growth first as a policy priority. "Why did you guys criticize Park Chung-hee and his economic policy? This is the key question liberal politicians should answer if they don't want another government change from liberals to conservatives. If youth unemployment continues, let's say for a decade from now, it's obvious that tired voters will dump liberals and be tempted to choose a conservative politician for president," his book reads. In "Memories of Yushin Dictatorship," the author sheds light on a set of repressive, abusive policies, from October 1972 when the controversial constitutional reform allowed President Park to remain in power, to October 1979 when he was assassinated by his key aid Kim Jae-kyu. 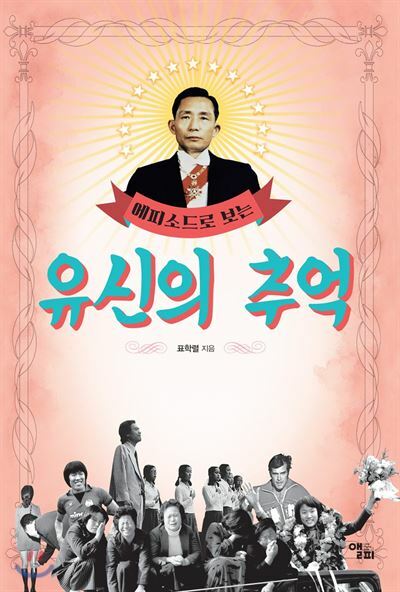 The author picked 70 incidents, including the 1973 constitutional reform, oil shocks and human rights abuses cases, to give younger readers, who may be relatively unfamiliar with the Park Chung-hee era, a peek at what those years were like. Pyo says dictatorships are bad because political leaders try to flex their muscles to control citizens' lives. The author cites the government's crackdown on men with long hair and women wearing short skirts as two cases showing how ridiculous the Park Chung-hee era was. In 1973, the Park government introduced the Minor Offenses Act that mandated limits on men's hair length and women's miniskirt length. Police who caught men with long hair took them to a police station to have their hair cut against their will. While there was no specific definition of long hair, the Minor Offenses Act stipulated that men who have hair "long enough to make it harder for others to distinguish whether they were men or women" were subject to the measure. In 1973 alone, some 12,000 men were taken to police stations for violations of the act. The same law also banned women from wearing skirts that ended 17 centimeters or higher above their knees. If found, the women were taken to a police station and required to change into a "modest" costume. Pyo describes himself and people of his age group as "the 86 generation," which means they were born in the 1960s and attended university in the 1980s. The 86 generation is said to be more progressive than any other in this country. They were the key force behind the pro-democracy movement of the 1980s. The 86 generation also played a key role in ousting Park Geun-hye from the presidency. They joined the peaceful rallies in Gwanghwamun Square in 2016 and 2017, urging Park, the daughter of Park Chung-hee, to step down to take responsibility for her incompetence and dysfunctional cronyism. Pyo claims the double-digit economic growth of the 1970s came at the expense of human rights, as young girls went without secondary education to work long hours in sweatshops to feed their poor families and send their brothers to school. The young workers were portrayed as the heroes of industrialization but those who actually benefited from Korea's miraculous economic growth were upper-class people, he observes. The author says the repressive Park Chung-hee era had an impact on sports stars, too. Football legend Cha Bum-kun and baseball pitcher Choi Dong-won, two of the country's greatest sports stars in the 1970s, hit a ceiling in their careers as they were encouraged to play for their country at the expense of opportunities overseas. Cha, then Asia's unrivaled striker, was lured to Germany's premier football league Bundesliga in the early 1970s as several clubs showed deep interest in him. Due to popular opinion that he should represent only his country, Cha stuck with the national football team through the 1970s until the 1978 Bangkok Asian Games. The next year, he joined the German Bundesliga. Legendary pitcher Choi, meanwhile, missed the opportunity to join Major League Baseball. In 1981, he and the Toronto Blue Jays neared signing a contract. But the world baseball championship slated for the next year held back his career. Choi could have been the first Korean-born Major Leaguer but his dream shattered as he followed calls to pitch for the national team. Pyo critically reviews the Park Chung-hee era, lampooning some repressive measures and calling them ridiculous. He is critical of the economic growth-first policy stance, portraying policy consistency as a sign of inability. His view invites criticism of how youth unemployment ― which he pinpoints as one of the major problems that can put liberals' leadership to the test ― can be resolved without economic growth. The author uses current standards to judge and criticize what happened in the 1970s, provoking the question whether or not some of the measures he criticizes harshly would have been perceived the same way by the public in those days. British musician Cliff Richard's Seoul concert in 1969 provides a clue to what Korean society was like then. Overly excited, some female fans threw underwear at the stage during the concert and this shocked the nation. Media coverage then was in general negative of their reaction, and some journalists expressed deep concern about the fans and their "harmful effect" on others. In the 1970s, Korean society was more conservative than now and some measures that could be seen now as interruptive or heavy-handed might not have caused much controversy then.